The Minnesota Wild were struggling mid-way through last season until Devan Dubnyk came along and saved the day (and the season). The Wild have been a competitive team in the league for many years and have acquired many top free agents and top assets via trade over the past several years, including Jason Pominville, Thomas Vanek, Zach Parise, Ryan Suter and others. Even though the team did not make many offseason moves this year, the Wild still have their solid core intact and have a good chance of making the playoffs. The team has many veteran leaders, some elite talent at forward and on defense and a strong mix of young, talented players ready to step up. The Wild have a lot of the right things going for them. 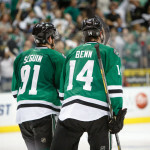 It will be interesting to see if the team is able to put it all together and make a strong playoff run. Even though the Central Division will be very competitive, the Wild have the tools to be one of the top teams in the division and in the conference. One of the most coveted free agents of the offseason was defenseman Mike Reilly, who decided to sign a two-year contract with his hometown team, the Minnesota Wild. Though this is the only real addition the Wild made to the roster this offseason, it is a big one. Reilly was a star performer at the University of Minnesota. Originally drafted by the Columbus Blue Jackets, Reilly elected to sign with another team after his draft rights with Columbus expired June 15. With all 30 teams interested, Reilly chose Minnesota. Reilly was a finalist for the Hobey Baker Award, which is annually awarded to the best player in college hockey. 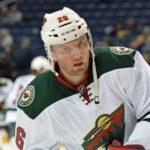 In 117 games with Minnesota, Reilly scored 18 goals and 71 assists for a total of 89 points; he scored 33 points in the 2013-2014 season and 42 points in 2014-2015. 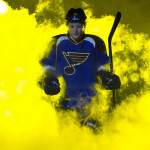 Reilly will need very little seasoning and should be ready to step in and make a difference at the NHL level immediately. The already-strong Minnesota defense will be that much better with Reilly on the back end. The Wild were in desperate need of help in the crease last year when they acquired Devan Dubnyk in mid-January from the Arizona Coyotes for a 3rd-round draft pick. That move ended up being a season-changing decision, as Dubnyk went on a 40-game stretch for the ages. In the 39 games Dubnyk played in Minnesota, he went 27-9 and maintained a .936 save percentage and a 1.78 goals-against average. After a very inconsistent six-year career before his time in Minnesota, “Doobs” seemed to find his groove as he carried the Wild into the playoffs on a magical run that earned him the Bill Masterdon Memorial Trophy, awarded to the player who best exemplifies the qualities of perseverance, sportsmanship and dedication to hockey. Dubnyk also finished third in Vezina voting. Though Minnesota was swept by Chicago in the Conference Semi-Finals, the Wild eliminated the division-winning St. Louis Blues in six games in round one. 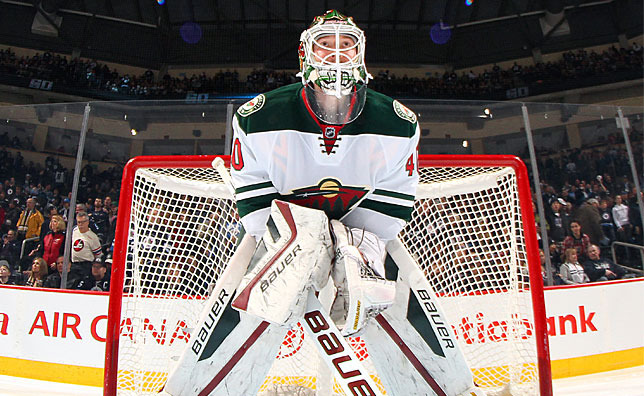 Dubnyk’s heroics were rewarded with a six-year contract extension with an average annual value of around $4.3 million. Though the term is a bit long after such a small sample of games, the cap hit is pretty reasonable considering the hype surrounding Dubnyk. Also, it is hard to judge Dubnyk’s ability based on his play earlier on in his career, as he was playing behind teams that simply did not play defense; based on his performance last season and his UFA status, Minnesota didn’t have much of a choice but to sign him to a contract like this. However, there is a strong possibility that Dubnyk could turn out to have been a one-hit wonder, and he could struggle to reproduce similar results as last season. In that case, this contract would be a disaster for Minnesota. If Dubnyk reverts back to a less impressive version of himself, Minnesota will be stuck with a six-year contract on a mediocre goalie with a high enough cap hit to make moving the contract virtually impossible. However, with the deep and dependable defense corps on the Wild, Dubnyk, originally a 1st-round draft pick of the Edmonton Oilers, should be able to continue to provide solid goaltending for the Wild. One could assume that this will not be an issue for Dubnyk in Minnesota since the Wild’s defense has only gotten better since last year. It would be unfair and unrealistic to expect Dubnyk to replicate last year’s incredible statistics, but he should be able to be a sturdy presence in the crease. The Wild made very few moves this offseason. Minnesota did not complete any trades after the trade deadline in March and signed very few free agents. Several free agents were re-signed, including Mikael Granlund (two years, $6 million) and Erik Haula (two years, $2 million); goalie Devan Dubnyk was also locked up for six years. The only real addition to the team was the signing of defenseman Mike Reilly. However, a lack of moves is not always a bad thing. The Wild have a strong team. The old saying is true: if it ain’t broke, don’t fix it. It makes sense that the Wild did not want to make too many drastic changes to a team that found success last year and has every chance to repeat that level of success this year. If anything, the high-level talent on Minnesota under-performed last year, especially Granlund, who only scored eight goals. Veteran forwards Mikko Koivu, Jason Pominville and Thomas Vanek also fell short of expectations in terms of production in the regular season. The Wild are capable of rolling four lines, and players like Jason Zucker and Nino Niederreiter will be looked upon to have strong seasons again. The main thing the Wild need to address is the power-play; if that can be fixed, the Wild will be in good shape this season. In a way, it is almost refreshing to see a team not make too many changes. It’s important to keep in mind, though, that the Wild did not just choose not to make moves; general manager Chuck Fletcher had his hands tied because of veteran contracts on the books, and he had no choice but to make limited adjustments in the offseason. At the end of the day, it is not necessarily a bad thing to do so. The Minnesota Wild did not make many changes to the roster and lineup this offseason. With the free agent acquisition of Mike Reilly, the Wild will have an even better defense corps this season, which will be important in a brutal Central Division. If Dubnyk can keep things under control in the crease, and if the top-six and top-nine players can produce on a more consistent basis, there is no reason why the Wild cannot make the playoffs in the 2015-2016 season. The Wild finished last season with the best penalty kill in the league but finished with a terrible power-play percentage of 15.8 percent, the 27th worst in the league; this needs to be addressed. It would be hard to imagine that head coach Mike Yeo and the rest of his staff have not worked during the offseason to address this issue, so look for Minnesota to be more effective on the PP this year. 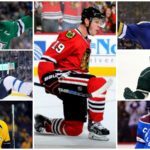 All in all, the Wild have a solid team and a strong system in place, which should help the team find success this season.